WELCOME TO A TRULY ONE OF A KIND LUXURY 10 ACRE FARM THAT IS PERFECT FOR THE HORSE ENTHUSIAST OR LUXURY HOME BUYER. This CUSTOM designed ranch includes a rustic 4 bedroom, 3 bathroom home with over 3000 sq ft of living space. This house will stand the test of time with 12 inch CONCRETE POURED WALLS and heavy strength metal roofing. The interior boasts a large great room spreading into the dining room and kitchen, a floor to ceiling STACKED STONE FIREPLACE, tons of natural light from the many windows, soaring ceilings, and a DREAMY KITCHEN with top of the line finishes which include real wood cabinets, GRANITE counter tops, under cabinet floor lighting, an island with vegetable sink and cabinet space to hold all of the chef's tools and equipment. The King & Queen of the home will definitely enjoy the UPSCALE MASTER SUITE which includes two walk in closets, extra soft carpet and a private en suite that will make you feel like you are at a spa. Other extras of the home include and amazing front and back porch, a stacked stone exterior, and the most delightful view of your ranch. 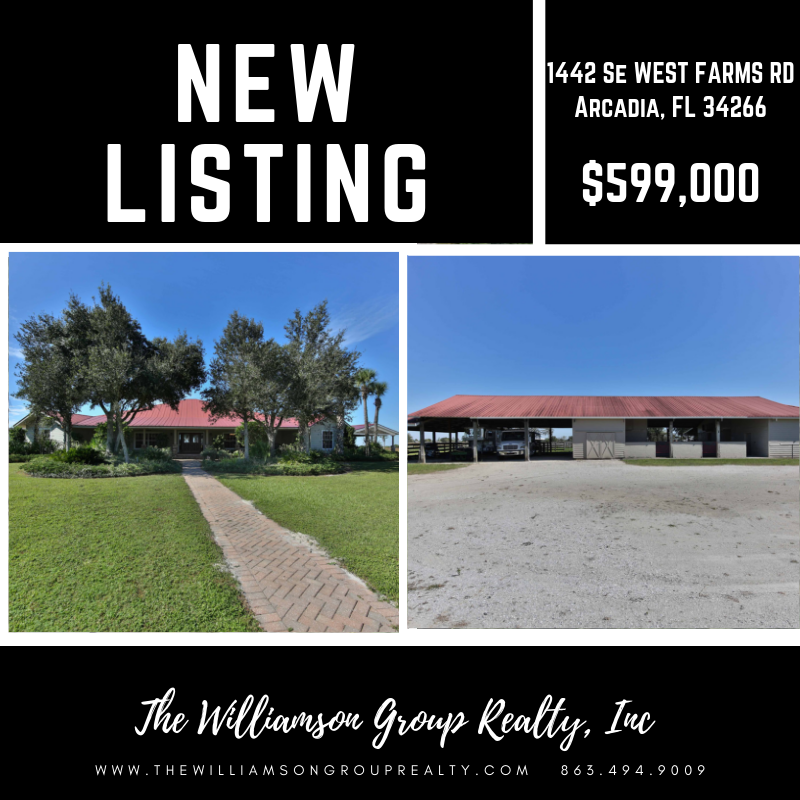 Horse enthusiasts will fall in love with the 6000 SQ FT CONCRETE BLOCK BARN with 11 horse stalls, large tack and feed rooms, a number of storage rooms and multiple parking spaces for RV's or trailers. Take great care of your animals with the wash rack and lighted arena. Green grass and beautiful views surround this 10 acre paradise. 50 additional acres are available to purchase together or separately! Book your private tour today!